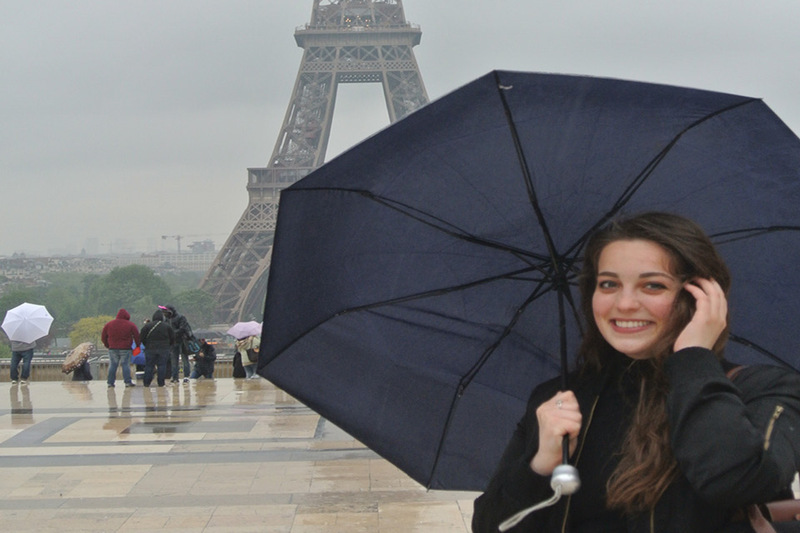 Reason you chose this program: I chose Academic Programs Abroad because they really emphasized the importance of integrating their students into French culture. They had a carefully designed cultural immersion program which allowed students to have free passes to all major museums in Paris, free tickets to a theatrical, musical, or dance production once a week, and free trips to various culturally significant cities in France including St. Malo, Mont St. Michel, Versailles, Fontainebleau, The Loire Valley, and Giverny. I felt safe choosing APA because I could see how devoted they were to helping students understand and love not only Paris, but France overall. Favorite classes: There were two classes that I really enjoyed while in Paris. One was an art history class which focused on 20th century painting and sculpture in Paris. For this class, we would learn about specific works and then actually go see them in various museums throughout Paris. The other class I enjoyed, was a political science course which focused on the 5th Republic of France as well as the European Union, more specifically the roll that France plays within the European Union. During this course, we even got to sit in on a session at the National Assembly! Housing situation: I stayed with a host family in a cute little apartment in a residential neighborhood in Paris. Best memory: As part of the cultural immersion program, all the APA students took a guided trip to the Loire Valley, an extremely fertile region of France situated along the Loire river, which is famous for its incredible chateaux and vineyards. During this trip, we toured several chateaux that were home to various members of the French monarchy throughout history, and even enjoyed a wine tasting! It was the beginning of spring, so the sun and flowers were finally coming out after a dreary gray winter, and it was so gorgeous just roaming through the lush flower gardens, and seeing what life must have been like for French royalty back in the day. Greatest challenge: The greatest challenge of my semester by far was taking classes at French universities with real French students. It was really difficult at times trying to keep up with all the work and lectures due to the language barrier, but it was also rewarding in the end because my French improved immensely. Did you apply for any scholarships? If so, which ones and how did they impact your time abroad? I applied for and received the logistical scholarship within my program. For the scholarship I had to give advice to future APA students about what their first few days and orientation in Paris would be like. I ended up making a video and interviewed several of the other students in my program to try and make a comprehensive guide on how to get through the first few days abroad stress-free. This scholarship allowed me to not only reflect on my own personal experience, but also hear and compare the experiences of others. What you know now that you didn't know before: I know now how important it is to be vigilant in a big city. I grew up in a small town and while I did study abroad in Florence, Italy, that was nothing compared to Paris. I personally felt safe in Paris, but a couple of the other students on my program had things stolen from them so I had to learn to be more aware than usual and keep safety in mind at all times. Fact about France that you think people would be surprised to learn: I think many people would be interested to know that in France, there is a law that requires models to present proof of a healthy BMI in order to walk the runway! This law aims to discourage eating disorders and promote positive body image nationally and globally!